In this episode of the Better Business Coach podcast, I explain the importance of and how to use the third FREE worksheet I give away, available for download here. 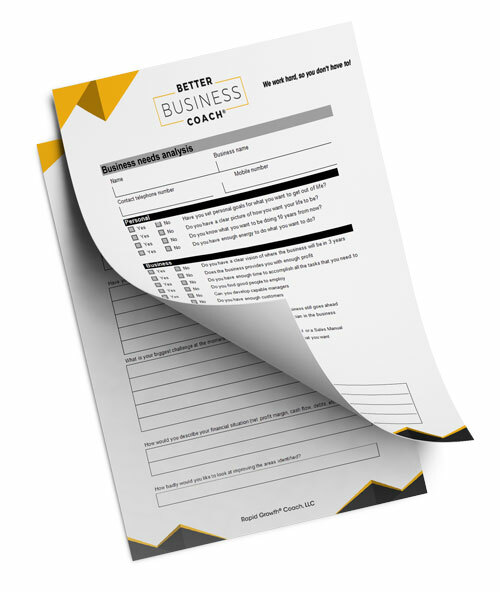 This worksheet follows shortly after the “Where Is Your Business Now?” worksheet, explained in session 13, and should be completed as part of your first paid client session. You will also find SWOT helpful when creating SMART business goals, as outlined in session 17. SWOT will really help your client understand if the goals they are setting themselves are achievable for their organization, or if they should be increased/reduced to better motivate and drive the organization to a higher or more realistic target. The SWOT analysis is a coaching tool that is too often undervalued, generally conducted once in every coach’s initial meeting and then put in the drawer never to be seen again. To me, the SWOT analysis is one of the most important documents in niche marketing and in ensuring business longevity. I believe the SWOT analysis should be conducted every six months and be viewed as an organizational insurance policy. By doing this, an organization will make sure it is best positioned against threats that are looming on the horizon and best placed to capitalize on any potential opportunities that otherwise may have gone unnoticed. These items are all internal to the organization. This means that if they’re currently a weakness, the business is in complete control of the weaknesses rectification. These effect a business, however, are outside (external) to a business’ direct control. While a business can’t directly change external opportunities or threats, knowing what they are still allows a business to be in the driver’s seat. Knowing about potential opportunities and threats gives the organization a real advantage over their opposition who are instead affected by a change as it occurs, or are confronted by others exploiting an opportunity they never saw coming. So how do you know what opportunities and threats to look for? Political – Changes in government policy, political climate, laws, funding, grants, zoning, etc. Economic – Consumer confidence, currency fluctuations, international downturns, interest rate variations, etc. Social – Opinions, pressures, thinking, values, etc. Technological – New, obsolete, evolving, etc. What strengths could give you/your client a unique advantage when attempting to capitalize on any of the listed opportunities? What strengths could you/your client easily obtain to capitalize on any of the opportunities uncovered? What weaknesses, unless rectified, could put you/your client at a potential disadvantage? What potential threats in your industry could you/your client turn into an advantage? So is SWOT a static or dynamic document? Column 5 – List the opportunity cost of taking this action, i.e. 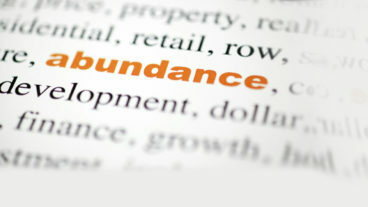 what you are giving up/sacrificing such as time or money that could be used elsewhere. Also list the opportunity cost of not taking action, i.e. you could go broke, lose market share, or lose your current competitor advantage. Make a decision to proceed or not to proceed with your indicated action. If you decide to proceed with any indicated action(s), form a SMART goal as discussed in session 17 to best ensure successful completion. 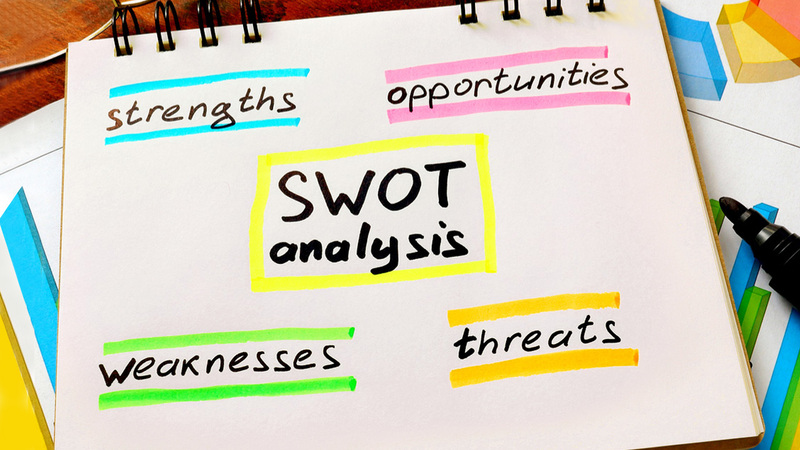 Download the “SWOT Analysis” worksheet! Thank you. I am planning to add items for peoples pets I used this to help me take this step. This is the Better Business Coach Podcast, your source for critical sales training, proven education, and actionable worksheets, all downloadable for immediate use. We work hard so you don’t have to. Now your host, The Rapid Growth Guy himself, Matthew Pollard. Hello everyone and welcome back to Better Business Coach. My name is Matthew Pollard and as always, I am your Rapid Growth Guy. Today I’m excited to be releasing two new worksheets in a series of episodes. The first, The SWOT Analysis. The second, The Force Field Analysis. Now in my view the SWOT Analysis is the most devalued document in business and business coaching. And the reason for that is people see it as a static document that they do once, they put it in the drawer, and they never look at it again. See to me the SWOT Analysis is a dynamic document because every time something changes in the economy, every time something changes in technology, or any time you hire a new staff member that has a strength or a weakness, things change. And you need to constantly re-look at it. So what I suggest to people is it’s a document that they should book in with their clients to do every 6 months. Otherwise they could fall victim to potential threats that are on the horizon and miss out on great opportunities that they could have really capitalized on. See the other thing I love about the SWOT Analysis is it allows me to see synergies between the strengths of my business and all my staff, and the opportunities that are on the horizon that I can really capitalize on. And most people don’t look for synergies. And I’ll give you some great examples of that very soon. I also love to see what potential niches I can capitalize on. And the SWOT Analysis for that is absolutely essential. Now if you have listened to Better Business Coach session 17, you’ll also understand that there are specific things within the achievable part of a smart goal that the SWOT Analysis will allow you to help understand a lot more about whether or not those specific goals are achievable, or whether you should put them high up or lower. So the SWOT Analysis is a vital document and something you could continually readdress. However I suggest once every 6 months is about enough. Ok, so let’s get straight into the document. I’m going to pull it up on the screen now. So this is the SWOT Analysis. For people that are listening, this is also a video podcast, so when you get a second hop on iTunes and you can watch the video version of Better Business Coach podcast, this is session #20. Or you can go to betterbusinesscoachpodcast.com and click on session 20 in the drop box that you see there and you’ll be able to also watch the video version. You’ll have to click on “watch video version” or “read more”, but it will be there and available for you. Now for people that can’t see this, it’s a page and its split into 4 sections. And what you have is “Key Strengths”, which is internal and we’ll talk about that in a second. “Key Weaknesses”, which is internal. Then you have at the bottom “Key Threats”, external; “Key Opportunities”, external. Now let’s talk about internal first. Internal is things that you have direct control over. You have direct control over your business strengths, you have direct control over fixing your business weaknesses. When we look at external, these are things that you can’t directly change but you can position your business so that it’s not affected by a potential threat and you can capitalize on potential opportunities by aligning your business successfully. Now I tend to find that so many businesses tend to be an effect of all of these threats that are on the horizon that eventually hit them. And the wonderful thing about the SWOT Analysis is it stops you being at effect and brings you back to cause. You’re completely in control of how how you align your business to deal with opportunities that you can capitalize on or threats that could potentially hurt you. You can also utilize your strengths in a more effective way to make more money, and you can fix your weaknesses as opposed to having them hurt you time and time again whenever you’re going out after potential customers. For instance, if you don’t have a unique point of difference, that is something that you can decide to change and filter into all of your marketing at any time. However, until you do it will be a key weakness for you and it’s something internal to you that you could fix, you’ve just chosen not to. Now this is a living document, as I’ve discussed in the introduction. It’s a document that so many people just put in their drawer, however, doing this every 6 months is going to afford you every chance of success. So you want to make sure that you’re really using this document and pulling it out every 6 months. It’s also amazing for a marketing tool or for finding niche markets. The strengths and opportunities I tend to find as an unbelievable resource for finding the synergies that I could utilize later to create huge differentiation and capitalize on new markets due to certain things that have happened. And we’ll go through opportunities in a second and you’ll understand exactly how I do that. Also, I see so many string businesses that don’t align themselves with other opportunities and that forces them to stay in the day to day. And that’s the last thing as a business that you want. But unfortunately so many businesses get stuck there because they’re not looking at opportunities, and what’s worse, eventually a threat will come along and send the business broke or adversely affected in such a way that they’re not making as much profit, and it’s all because they failed to do this form. Now I like to think of this form as a business insurance policy. I know that people pay for insurance to ensure they don’t get sued, I know that people pay for insurance to make sure that if they’re robbed that’s not something that will hurt them. However, people don’t pay for insurance to make sure that they’re business is as successful as it can be or to ensure that they’re not hurt by potential threats. The good news is you don’t even need to pay for it. All you need to do is do this form every 6 months and it should make sure that you capitalize on every opportunity available and make sure that it protects you against threats. So now let’s look at strengths and weaknesses. Now obviously I’m going to talk about a few but there are so many more. But if we were looking at strengths and weaknesses you could look at your uniqueness. As I said, if you don’t have a uniqueness it’s going to be a weakness. If you have a uniqueness that’s working really well for you it will be a strength. Are your staff a strength or a weakness, ie do they add to your business or do you find that if you’re not doing something at the moment or if your clients aren’t doing something at the moment, it’s not getting done? Skillsets, do you have certain weaknesses or do you have certain strengths that make you more marketable to your clientele? Looking at the systems within your business, you can look at the culture within your business, you can look at teams within your business, you can look at your company reputation, you could look at sales customer base, the marketing, you can look at the research that you’ve done and whether or not that’s a strength or weakness that supports your business. All of these things are going to be things that you can list in either strengths or weaknesses. Now when we talk about external threats and external opportunities, this is really going to become important because certain opportunities will align with your strengths and create huge amounts of business benefit for you. But again, if they’re not written down and if they’re not written down in a substantial way – ie; you’ve just quickly jotted a few things down – you’re not going to see it. So make sure you take the time with your client to write down every single strength and every single weakness that they see. And offer some suggestions. Say, “I tend to find people in your industry have x weakness. Is that something that you feel that you have?”, “I find people in your industry have this sort of strength, is that something that you have?”, “Do you have any other strengths that you feel that other organizations don’t have?” You’re trying to find that unique point of difference there. So let’s scroll down to “Key Threats” and “Key Opportunities”. And here I’m going to introduce the Pest Analysis. And what this is is it focuses on the things like political, economic, social, and technological changes. And these can all provide ridiculous numbers of threats to your business and unbelievable opportunities for you to capitalize on. Again, only if you’re looking at them they will be able to be capitalized on. And again, only if you’re looking at them you’ll be able to prevent these potential threats on the horizon from killing your business. I’m going to talk about some of the threats that even some big organizations didn’t see. So the first one is Kodak. Kodak used to be the company that everybody knew to produce photos. You’d go in with your film, they’d produce it into 26 or 34 photos, and you’d walk out very, very happy. Unfortunately they didn’t see the threat on the horizon of a change of technology. And the change of technology was that most people started posting their photos on Facebook. Most people started to be able to order photo printing online. You’ll find that there are technologies out there now on Facebook that I even utilize. I used to post huge amounts of photos on Facebook and my grandmother kept saying to me, “Matt, you’re never giving me photos anymore. I’ve got nothing for my album and I don’t have Facebook.” So I looked online to print photos from Facebook and all of a sudden there were all of these technologies. I picked one that was focused at “get photos for grandma”. I just clicked on a few buttons and all of a sudden my grandma got a photo album, and she was so happy. Other technologies like Shutterfly have also been able to do this. They look at the photos on your iPhone, they look at the photos on your Facebook, and they’ll print them out and you can have them delivered to your door almost within a few days. Kodak couldn’t compete, they didn’t see this coming and they went broke. Another good example of this is IBM. IBM didn’t see the threat of personal computers. They also didn’t see the opportunity that it could be for them. And when Bill Gates went into their office – because Bill Gates used to work for IBM – and he introduced DOS to IBM because they wanted it and he was obligated to give it to them. And they said personal computers are not going to be something that anybody is ever going to be interested in. They rejected DOS and as a result Microsoft was born. And we all know what a tremendous success Microsoft has been. And now IBM is their little brother. So how do you see all the threats and opportunities that could happen? The first one in the Pest Analysis is political. So this is changes in policy and a good example of that would be the last business I worked with, which was many times there were changes in government funding. Certain courses would get government funding, other courses wouldn’t. Now us as a business school, we saw that as a potential threat, because what happened if they pulled funding form business education. On the flipside, there were other opportunities, here were many other qualifications opening up and becoming available for funding. And if we capitalized on those we would be one of the first people offering those specific courses with government funding. So we had to be across both of them at all times. 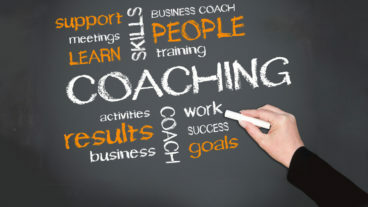 The other thing that I realized with opportunities – and this is a good example of something external that I was not in control of, but a strength we had allowed us to capitalize on it – and that was that what we noticed was there were a lot of people that wanted business coaching but couldn’t afford business coaching. Now this was something I was not in control of, there were a lot of people that just wanted business coaching. I couldn’t make sure the demand was there for business coaching. However, our strength as a school was providing business coach training. For instance, we said there was so many schools out there that had teachers that have never really done anything, as opposed to us who had business coaches that have actually gone out there and had their own businesses and are still out there coaching companies even today, and they are the ones that are teaching the classes. They run them more like Masterminds. All of a sudden the synergy between that strength and that opportunity became the growth that created 3,500 students within just a few years. It created absolute success and people need to understand that by seeing that opportunity – because of the political policy that was created, and a synergy between a strength that we had – we were able to dominate and create a rapid growth business. And Shutterfly probably did the same thing, and so did this company that created the album for my grandmother. They would have seen that they knew and understood technology , and perhaps the photography market, and as a result they were in a position to capitalize on the opportunity of Facebook and the market going digital even though they weren’t the main player which Kodak was at that time. See everytime technology – which we’ll talk about in a second – changes, there are also really good opportunities. The next one is economic. And a good example of this was the global financial crises, or the Australian dollar going up or down, or the US dollar going up or down. See, one of the things that happens quite frequently especially in manufacture, is anytime there is less demand in the US, China can’t manufacture as much. And therefore Australia – which is one of the largest producers of iron ore to China – their Australian dollar plummets. Anytime there is uncertainty in regards to market demand, for instance in Europe and the US, they were highly affected by the global financial crises. And in Australia as a result, even so far remote from America and Europe, just the fact that there was uncertainty in the market made people hold onto their savings and spend less money and your business can be affected by this. So it’s important to be across what happens in regards to the economy and what’s happening there and how that can affect your business. The next one is social. And a good example of this, actually a colleague of mine Daniel Lima, talked about this in one of our other podcasts. What he talked about here is fur coats. It used to be a really popular thing and then things changed and all of a sudden it was socially wrong to have a fur coat. Then all of a sudden there were businesses that went broke because they didn’t see this happening and they didn’t transition to get known for other things. Another good example there would be Starbucks coffee. Now they probably were smart and saw an opportunity within Turkey for coffee. The economy was growing, it became politically stable, and Starbucks probably saw this was a wonderful opportunity for growth. Unfortunately they didn’t check potential threats. And if they had done that they would have noticed that many Turkish coffee drinkers like very, very strong coffees. And unlike America who like milkshake versions of coffees, they like very, very strong coffees. And therefore there was no pickup, and all the Starbucks there shut down very quickly because they just didn’t get any success. So again, it’s so important to be mindful of the opportunities and the threats, and I’m sure if Starbucks had perhaps done a full analysis with the budget that they had, they could have seen this coming. Unfortunately they didn’t and therefore they had a horrible effect as a result of that. The final one os technology. We’ve discussed technology in regards to Kodak, but other good examples would be the introduction of Elance and the introduction of Fiverr. And Fiverr and Elance provided technology and so many other services at a much cheaper price. And there are many people in local area that used to get all of their business from all of the businesses around them. And then all of a sudden that stopped. But Elance and Fiverr, they probably were technology companies as well, but they would have seen the opportunity of the internet and the ability to be able to provide that in such a much more leveraged way. Other good examples of technology was Yelp. Yelp understood technology and knew that reviews for everything were vitally important. So they created an online review site. All of a sudden all the newspapers and magazines found it much harder to get any traction because Yelp offered real consumer reviews. Another good example for the Australian market is when JST came out. Myob all of a sudden got on the bandwagon because the accounting job was so much harder that they created software to be able to do this in a much more simpler way. Ok, so now we’ve covered strengths, weaknesses, threats, opportunities, or SWOT Analysis. How can we make this a dynamic document? And the easiest way to do that is to pull out an Excel spreadsheet. 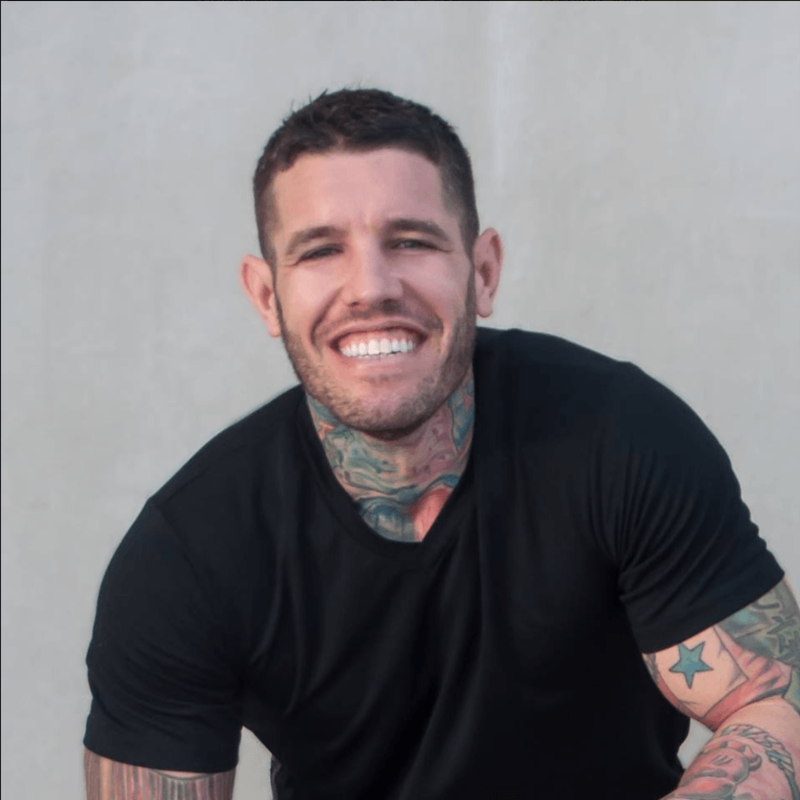 What I want you to do – I don’t have a template for this because it’s so easy – is make sure that you write all of your strengths, all of your weaknesses, all of your external threats, and all of your opportunities in a list in the first column. Then what you can do is you can write down the implications of each one of these potential strengths, weaknesses, opportunities, and threats. You can also write down is you see any potential synergies between any of them. Then you can write what is the indicated action for each one of these strengths and opportunities, and any synergies and how you’re going to create actions around that. And also what are the intended actions to fix any of the weaknesses and the threats that you can potentially see on the horizon. You then need to work out in the next column which you write what resource allocation you can put towards creating that synergy or capitalizing on that market opportunity, or fixing these weaknesses or protecting yourselves against these threats. And in the final column – which will be the 5th column – you can write in the opportunity cost, what you’re missing out on by not doing this, ie, you could spend that money on other things, and is it worthwhile. The other thing I like to tell people is to write down the opportunity cost of what happens if they don’t do something. For instance, not having a unified message could potentially cost them hundreds of thousands of dollars of lost business because their closure rate may only be 5% or 10%. Ok, we’ve covered the strengths and weaknesses, however when you’re looking at key threats and key opportunities, we’ve talked about all the political, economic, and social technological things that could potentially really hurt your business, and the question then becomes, where do you get information for your client to be able to discuss what potentials are out there. Or what homework can you send your client to let them know or help them find what potential opportunities and threats are out there? Now there are some great opportunities in IBIS reports. Now IBIS is a company that writes reports on every single industry. You can get access to that at just ibisworld.com. Now you can also get access to that sort of information through newspapers, magazines, going on the internet, looking on different report and annual reports for different organizations or companies that are bigger than you that are in the same market space as you, government reports, annual reports, any industry specific publications. Really there’s no end to where you can get information from. However, it’s important that you do look for information. Especially your client who will be in the business and they’ll think they know it all. Unfortunately I’m sure Kodak thought they knew it all as well, afterall, they were the industry leader. And because they didn’t they went broke. So make sure that your client understands the value in seeking this external information. Ok everyone, I hope you really enjoyed the SWOT Analysis and I hope you can really now understand how vital it is that you constantly re-address it. Now before I end this episode again I will ask you we’re getting very close to the end of our time in New and Noteworthy and I would really appreciate your reviews. For that to happen, all you need to do is hop on the iTunes app on your iPhone and type in Better Business Coach, and post a 4 or 5 star review. Or, just click on the link on betterbusinesscoachpodcast.com to iTunes and post your review there. Now also don’t forget that this is a downloadable worksheet so you can access that at matthewpollard.guru/bbc020. So make sure you go to that website address and download this worksheet so you can use it with your clients straight away. Ok, so in the next episode we’re going to be talking about Forcefield Analysis. It’s going to be a shorter episode but I want to make sure that you understand that these two are connected. So the sooner you listen to that one the better off you’ll be on understanding how interconnected they are. So until then, I’ll see you in the next episode, I hope you have a wonderful day, and I will see you very shortly. Cheers. Thank you for listening to the Better Business Coach Podcast. Head over to matthewpollard.guru for links, recaps, and any downloadable templates mentioned in this and every show. Also, if you’ve not already rated our new podcast in iTunes, we’d love your support. Simply leave a review and the star rating you think we’re worthy. And don’t forget to subscribe so you don’t miss a thing. Thank you in advance and see you next time.